*Note: There are also education bureaus under the people's committees in every city and/or province (시•도 인민위원교육국) that contribute to the formation of education policy, and the local education bureau could provide some input for the school. Lee Chae Seong, “대학시설: 북한의 교육 7 [North Korea’s Education],” Segye Ilbo, 9 September 2002, p. 14. Joseph S. Bermudez, Jr., “North Korea’s Nuclear Infrastructure,” Jane’s Intelligence Review, 1 February 1994, pp. 74-75. 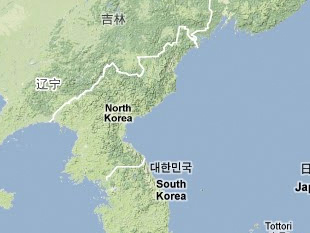 So Jeong-hyeon, “’북한 재앙의 날’ 핵실험 기필코 강행 [’The North’s Day of Disaster’ Nuclear Forces],” BreakNews, 10 May 2005, http://honam.breaknews.com.